There comes a time in your 30s when the sad realisation of, ‘I’m just not that cool anymore’ suddenly dawns on you. That moment came for me a couple of years ago, when I was teaching an English lesson and one of my pupils mentioned they liked Nicki Minaj. ‘I’m sorry, I’ve never heard of him,’ I said, to a chorus of incredulous laughter (yeah, yeah, I know, Nicki Minaj is a woman). 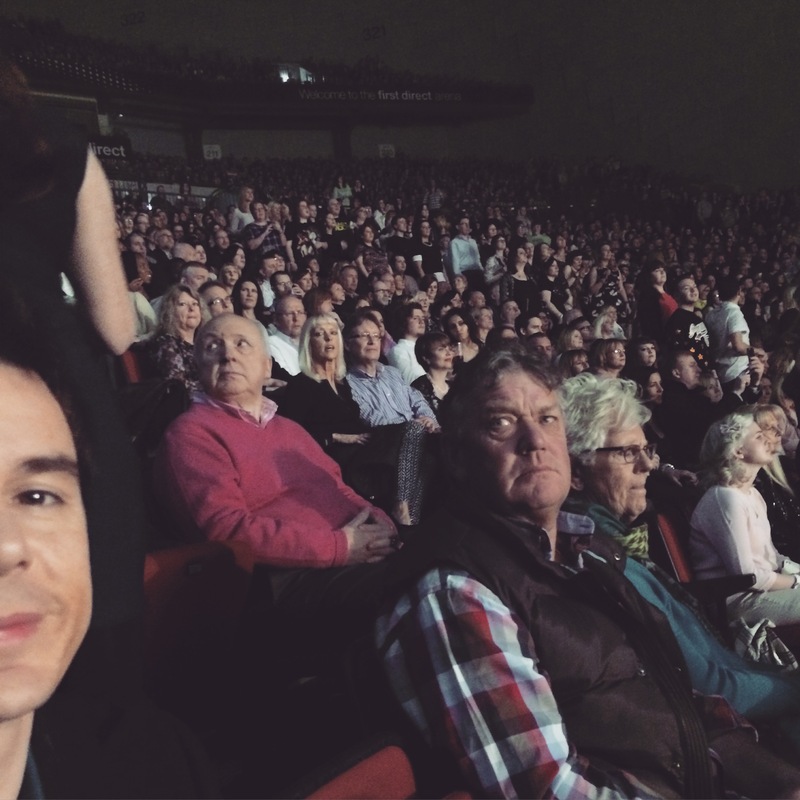 Last night was another of those moments; I’d bought the husband tickets to go and see Paloma Faith at Leeds Arena for his birthday. Due to the fact I eschewed Radio 1 for Radio 4 some years ago, I’m unashamedly out of touch with popular culture. Still, the husband once mentioned he liked Paloma Faith. And given that he’s the most difficult person ever to buy birthday presents for, I immediately pounced on this small nugget of information. ‘Not particularly,’ he yawned, looking up from his copy of New Scientist. Now, I envisaged arriving at the gig and being greeted by a sea of young hipsters. I’d even rummaged out my old Vivienne Westwood coat from the mothballs for a bit of Paloma-esque quirk factor. So imagine our shock to rock up to the 13,000-capacity stadium to be greeted by…. vast hoards of old people. There were people in their 40s, 50s, and scores of grey-haired pensioners. In fact, from our seat in Block 104, I couldn’t locate a single person under the age of 30. For one insane moment, I actually thought we’d stumbled into a Barry Manilow concert by accident – before realising there was only one arena in Leeds. ‘Why are all these old people here?’ said the husband, as he took his seat next to a particularly irascible looking 60-something-year-old, whose bespectacled wife had her foot in a plaster cast jutting out into the aisle. The arena darkened and on bounded Paloma. 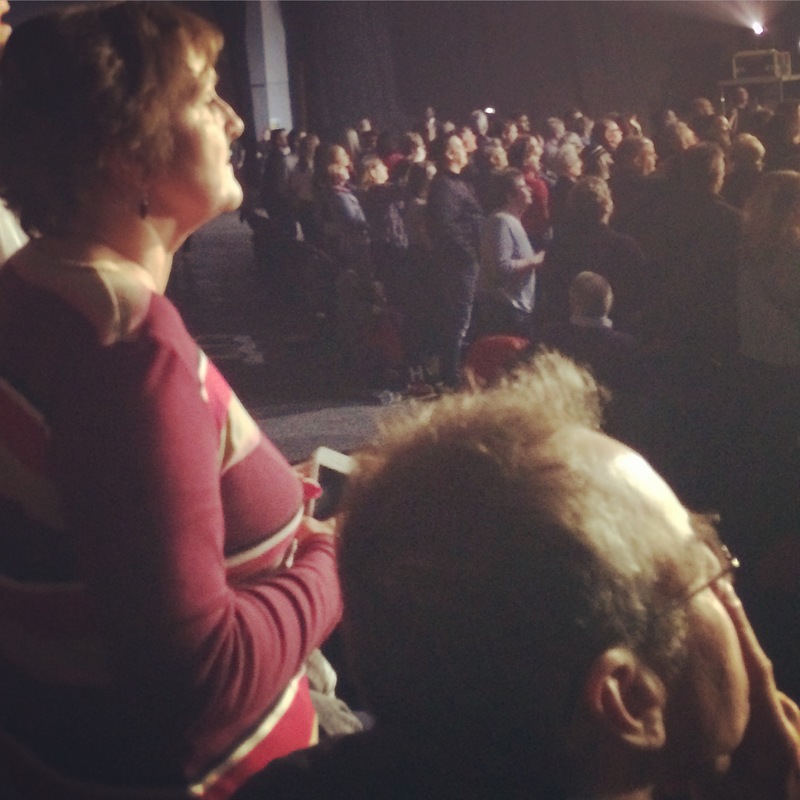 I glanced behind me to see some of the oldies on their feet, singing along to her opening number and doing what I could only describe as an embarrassing ‘Dad dance’. Meanwhile, Brenda and Beryl behind us had been getting increasingly drunk and raucous, waving their hands around and sloshing white wine down the back of my neck. The husband was looking increasingly annoyed and kept glancing irritably over his shoulder, as did The Incredible Bulk. She reached out and grabbed hold of my shoulder as I shrank away in fear. Losing her balance, she toppled forward on top of the husband – who was instantly doused in more Pinot Grigio! ‘Be quiet!’ growled The Incredible Bulk, who up to now, had been watching the show impassively, without so much as a flicker of excitement. His invalid wife pursed her lips in disapproval and clutched her injured leg protectively. ‘Shut up yerself,’ snarled Beryl. From out of nowhere, a security man arrived. I silently pointed at them and made a discreet throat-slashing motion with my hand. Beryl and Brenda were escorted out, staggering as they exited. They were never seen again. Hi Ted. I’m not sure France is on her Tour list. I don’t think you’re missing out too much. One of the other blogs I follow is a guy called Richard Guest who photographs cool people in London. And he does find some celebrities. He once found Paloma Faith. At the time he didn’t know who she was. Ha ha – love this, had me laughing!